Your grandmother looks like she hasn't changed much in the last 28 years!!! That is just great dev! 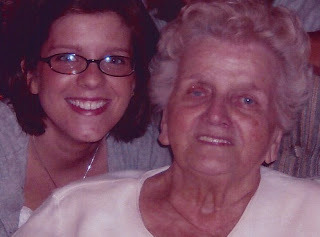 I loved my great grandma and had her til about 2 years ago now. she was a month away from her 95th bday. If your boys love her now wait til they get a bit older then they will think she is just everything!!! You are so very blessed to still have her around! My kids have a set of great grandparents that are still around, but more than that they are still very active! My oldest goes to their house to spend the night alone all the time! 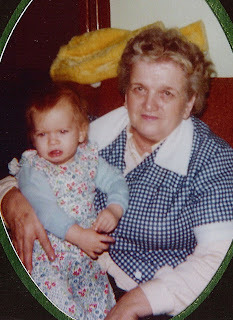 It is such a special thing to have a detailed memory of a great grand parent! I also agree with your friend Julie! Grandma Franzi looks exactley the same!